A former IRA chief of staff and negotiator for the Provisionals with the British government in 1972 is in custody tonight being questioned about the murder and disappearance of a widow whose death in the same year left 10 children orphaned. West Belfast republican Ivor Bell was arrested in the city earlier today in connection with one of the most controversial murders of the early years of the Northern Ireland Troubles – the case of "disappeared" mother of 10 Jean McConville. The 77-year-old was detained in the city earlier today by detectives investigating the IRA's kidnapping, killing and secret burial of the Belfast woman in 1972. Bell was part of an IRA delegation that met William Whitelaw at future Tory minister Paul Channon's flat in London six months before McConville's disappearance. He and other IRA leaders were trying to negotiate a ceasefire with the British which broke down in the summer of 1972. The republican veteran went on to become a leading figure in the Provisionals but was later sentenced to death by the organisation for allegedly trying to stage a coup d'etat against Gerry Adams in the early 1980s because he became convinced the then West Belfast Sinn Féin MP and others around him were determined to "run down the war" and abandon armed struggle. Since his departure from the IRA, Bell has kept a low profile and effectively bowed out of republican politics. 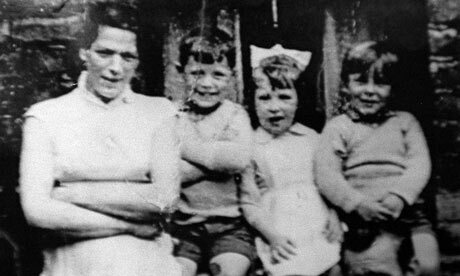 Jean McConville became one of the most famous of the "disappeared" and her body was not found until 2003 on a beach in Co Louth. Ex-IRA Belfast commander Brendan Hughes has accused Gerry Adams, the Sinn Féin president, of organising a secret unit which abducted and murdered McConville. The unit was charged with smoking out informers for the British within nationalist-republican areas and in most cases killing them and burying their bodies in secret. Adams has always denied the charge from his former friend and also insisted he was never in the IRA. Hughes made his allegation about Adams on tapes for a Boston College academic project in which ex-IRA and loyalist paramilitaries would speak frankly about their roles in the conflict but which would be released only when they died. The man arrested today is being questioned at the Police Service of Northern Ireland's serious crimes suite in Antrim Police station. In 1999, the IRA admitted that it murdered and buried at secret locations nine of the Disappeared. The Independent Commission for the Location of Victims' Remains was established in 1999 by a treaty between the British and Irish governments, which gave de facto amnesties for any IRA members who had knowledge about the whereabouts of the missing to come forward without fear of prosecution. It lists 16 people as "disappeared". Despite extensive searches, the remains of seven of them have not been found.